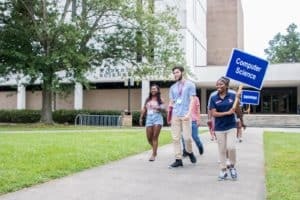 Francis Marion University has a long tradition of providing the people of South Carolina with a quality university education that is the most affordable in the state. We’re delighted you’re exploring all that we have to offer. We look forward to telling you more when you come to visit! We’ve made the application process as simple as possible with avenues to apply both online and in print. FMU provides more than $9 million in FMU specific scholarships. Our average student aid package tops $2,100 per year. 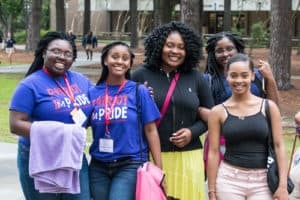 Experience Francis Marion University in person as you tour our campus. Register below or see a list of opportunities to visit in the coming months. The core of every Francis Marion University degree is the traditional liberal arts core curriculum. We consider that the building block for a successful life and career. Atop that foundation students can add a major from our growing selection of professional programs, or dive deeper into a core program. FMU offers more than 60 majors and courses of study. Explore all we have to offer here. 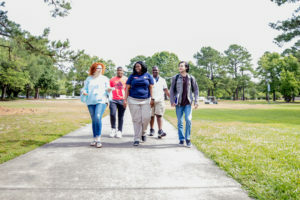 FMU students enjoy a rich extracurricular life, from NCAA athletics to Greek life to special interest clubs and everything in between. Check it out here.